8.5x11, xvi + 81 pp. 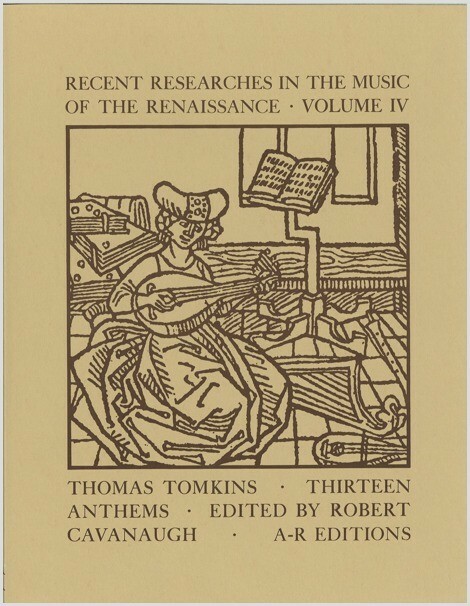 Thomas Tomkins was one of the last notable musical figures of the Tudor era. The thirteen English-language sacred works presented here—including settings of the seven penitential psalms, full anthems, and verse anthems—are taken from the posthumous collection Musica Deo sacra (1668), published by his son Nathaniel, and they combine the expressiveness of the late Tudor vocal style with the harmonic artifice of the emerging Italianate baroque. Why art thou so full of heaviness O my soul! Who shall ascend the hill of God? Edwin B. Warren, Notes, December 1969.